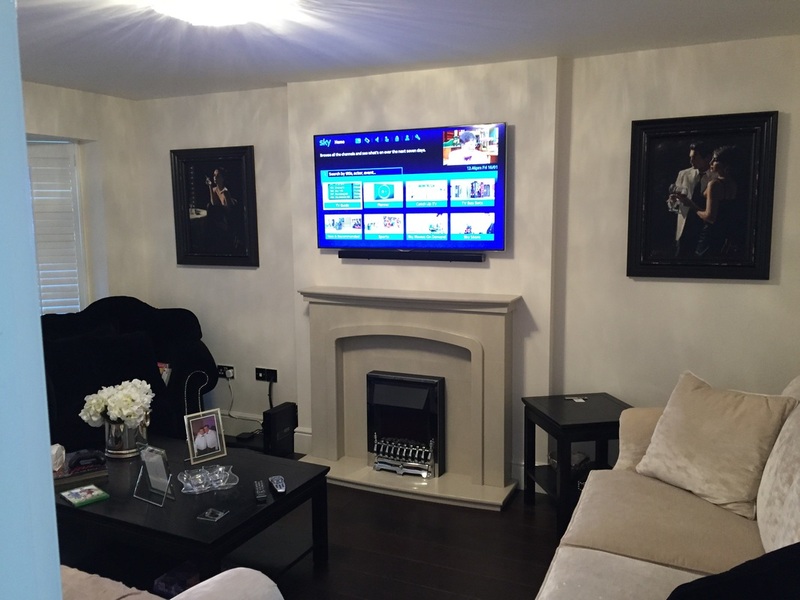 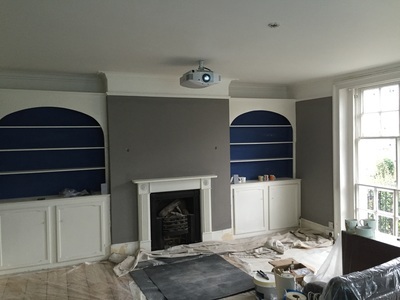 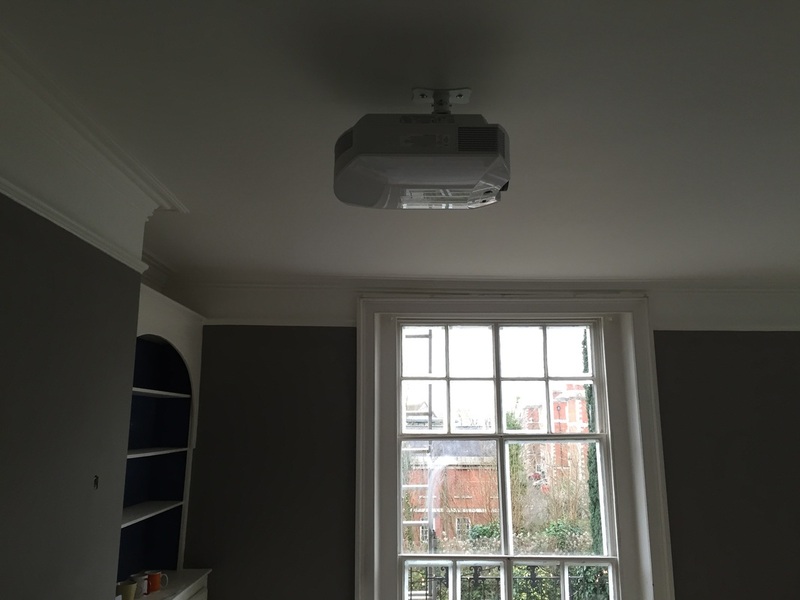 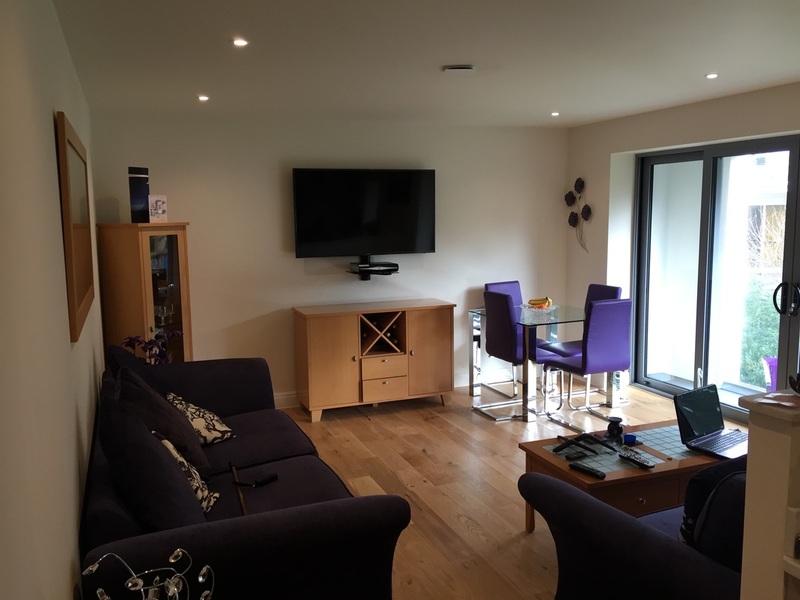 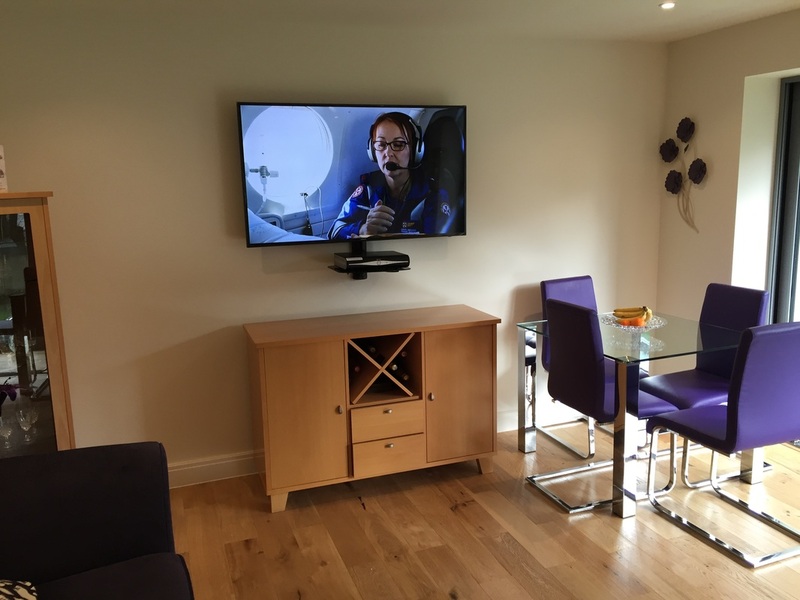 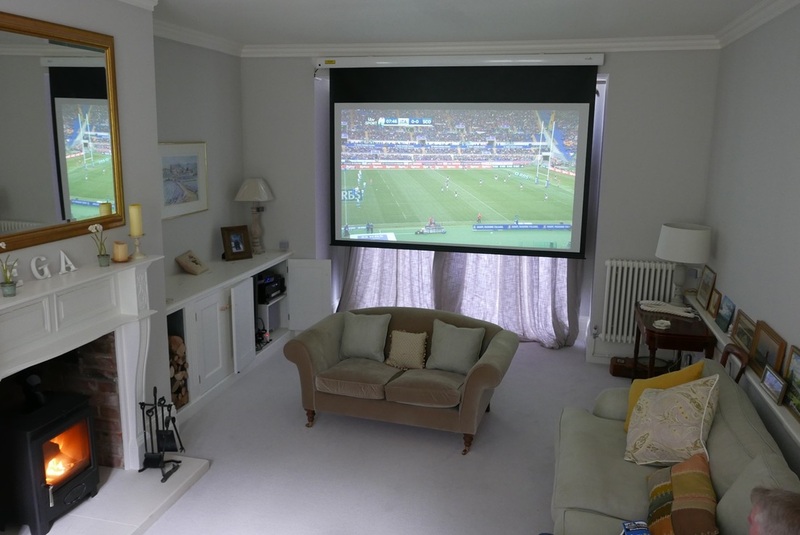 A discreet retro fit projector system in furnished house, installation of motorised drop down screen, ceiling mounted projector, full surround sound system, with all cabling running back to built in cupboards. 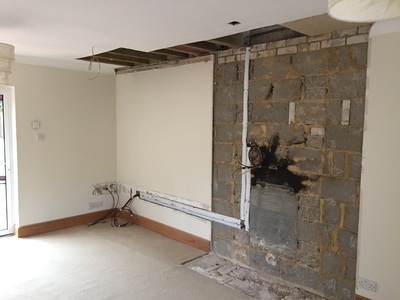 Cabling was run in a number of different ways so as not to be visible, cables were run up the outside of the property behind rain water pipe, under the carpet to speakers, and under the floor in the room above to the projector. 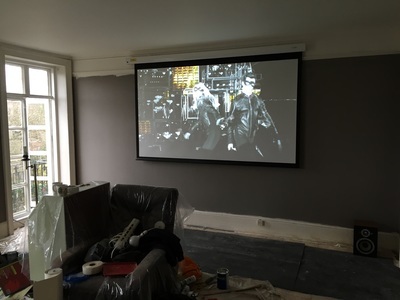 Supply of all cabling and full installation (exc ceiling bracket, screen, projector, total cost £700.00. 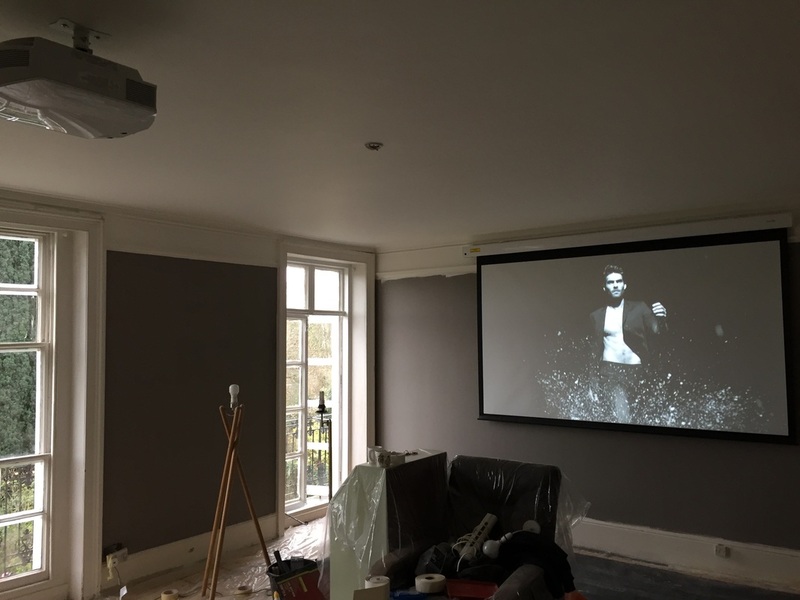 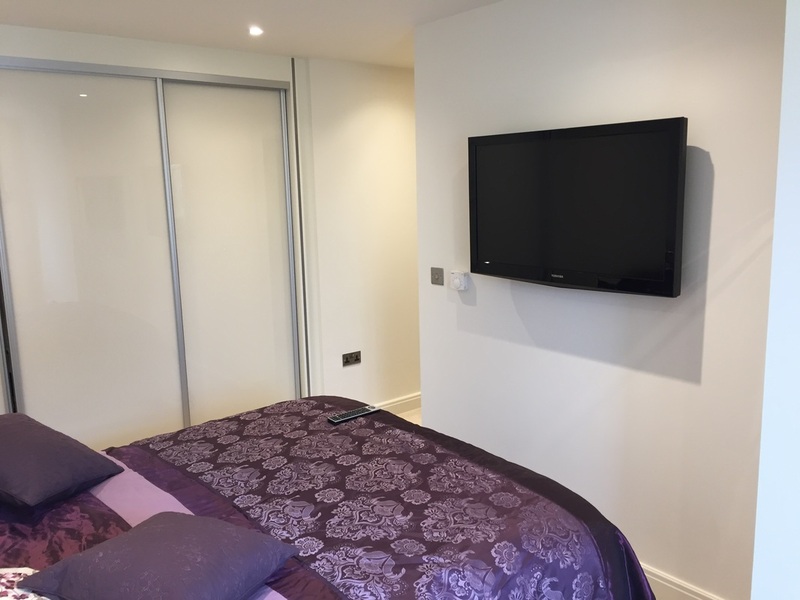 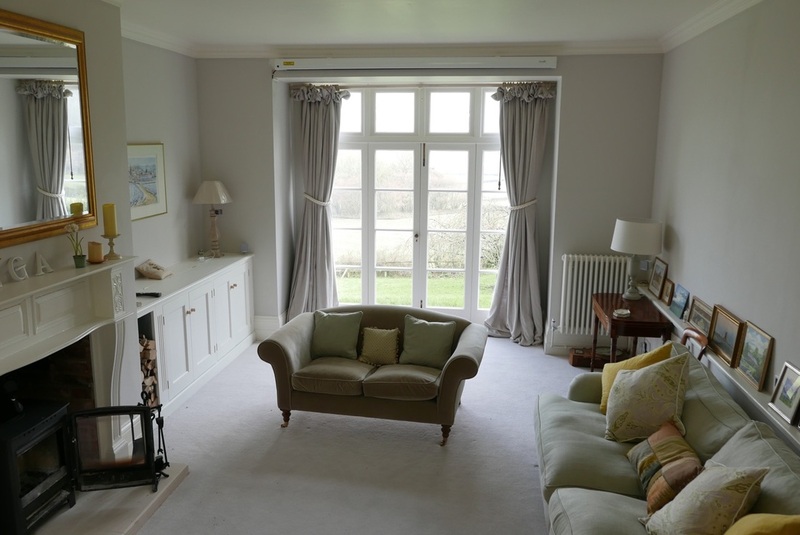 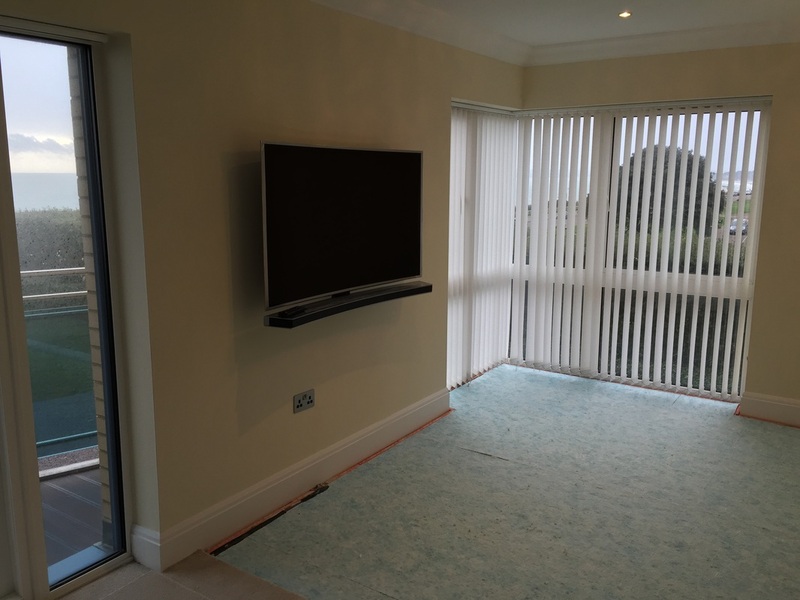 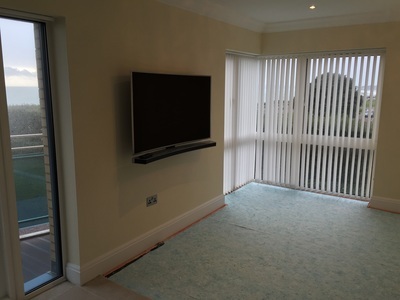 Part of a flat refurbishment on Bournemouth Cliff top, wall mounted TV's in lounge, kitchen and 3 bedrooms consisting of 55" curved TV and wall mounted sound bar in lounge and 32" TV's in all other rooms. 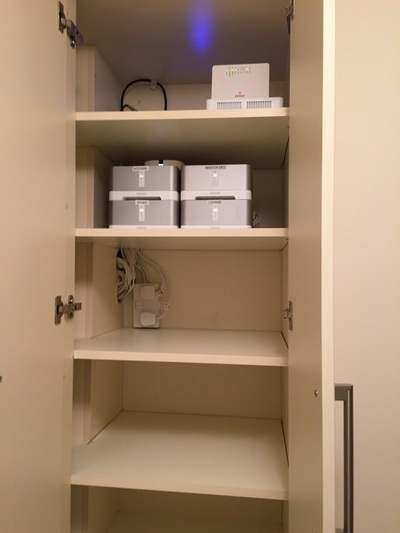 New aerial system, new Wi-Fi location and all equipment including Sonos amplifiers for in-ceiling speakers all located in cupboard located in utility. 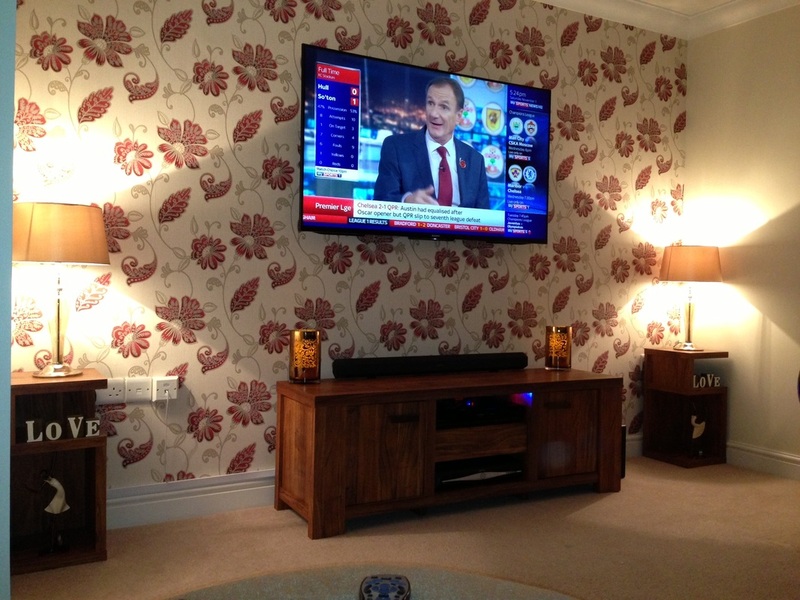 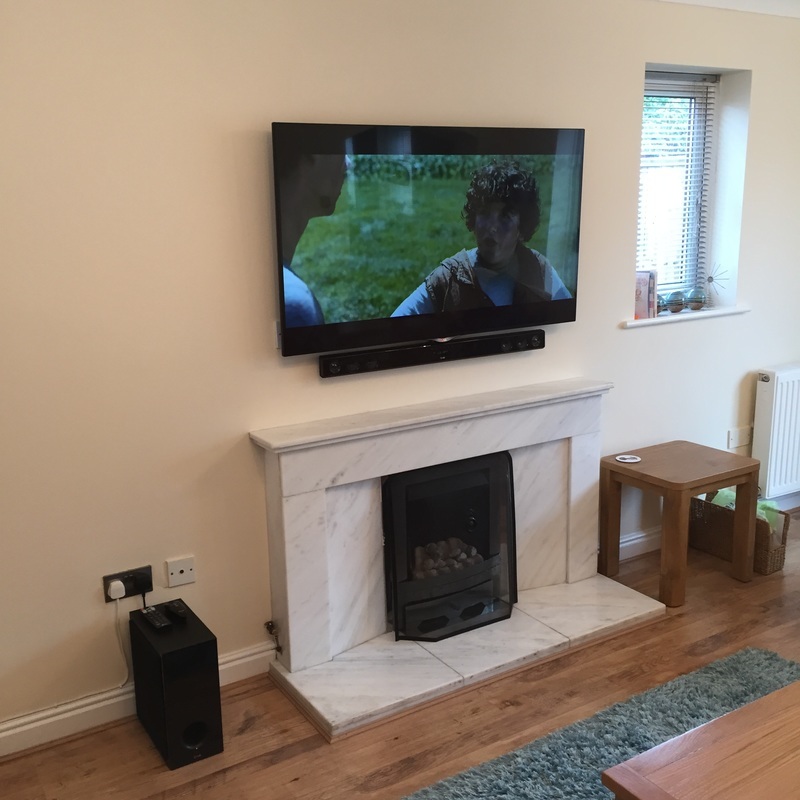 49" LG TV wall mounted on tilting down wall bracket, sound bar mounted beneath with AV glass shelf. 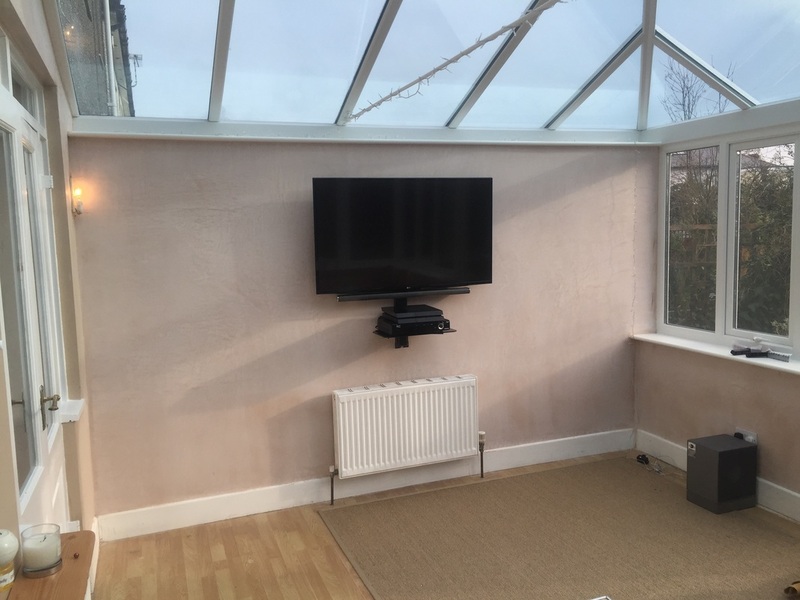 Virgin and PS4 located on glass shelf. 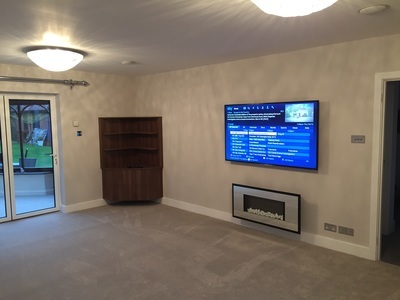 Mains cabling run from behind mains plug at low level to right of TV. Installation consisted of running Virgin cable externally around outside of house and back in behind AV wall mount unit, extending mains cabling externally. 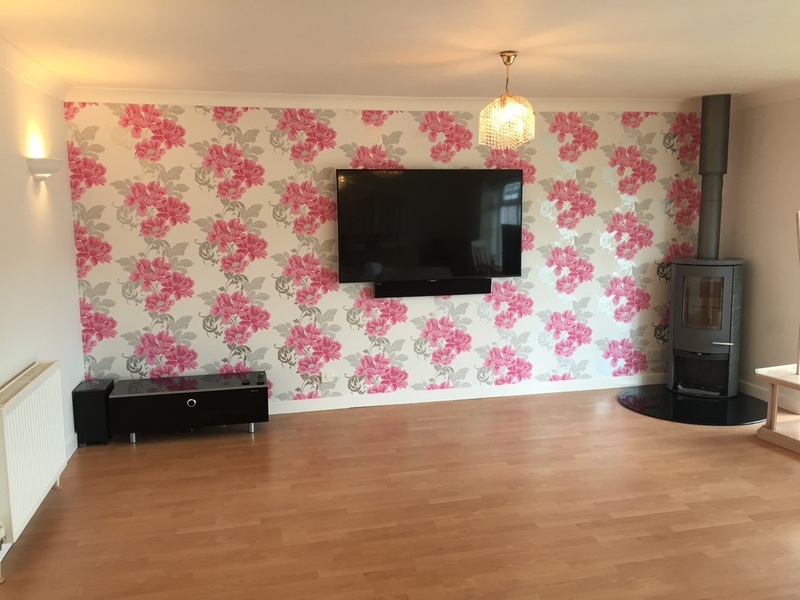 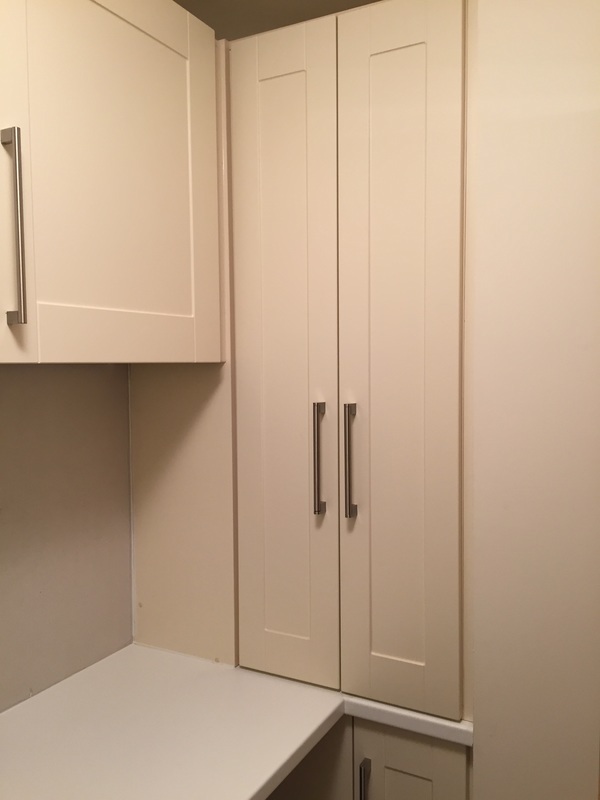 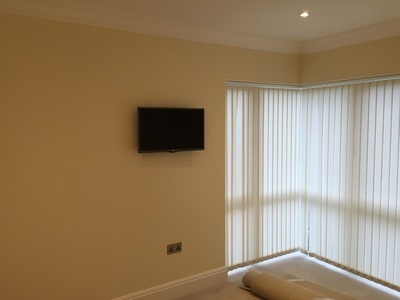 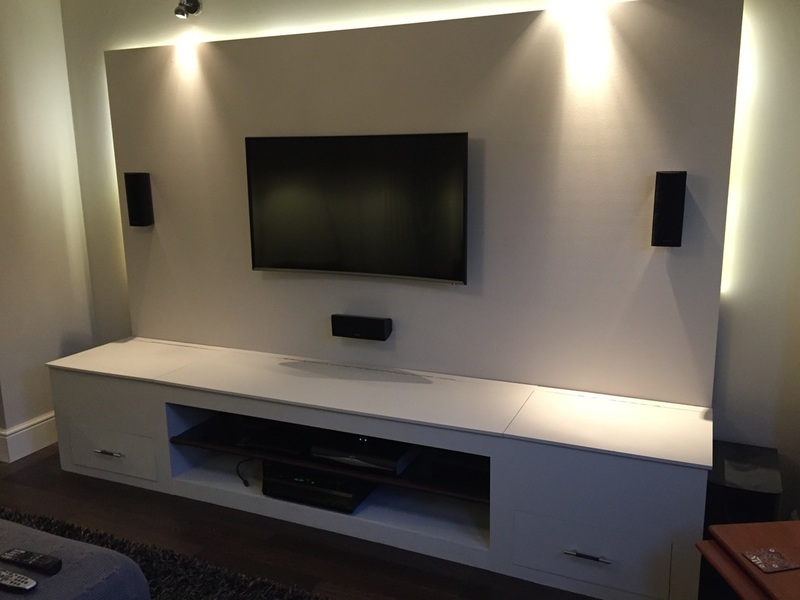 Supply of wall bracket and connecting leads + full installation,total cost £300.00.